The most needful thing for a spirit-filled believer is our utter, total submission to Christ.. our entire surrender to Him. For every virtue we possess, and every conquest won, and every thought of holiness, are to be His alone. 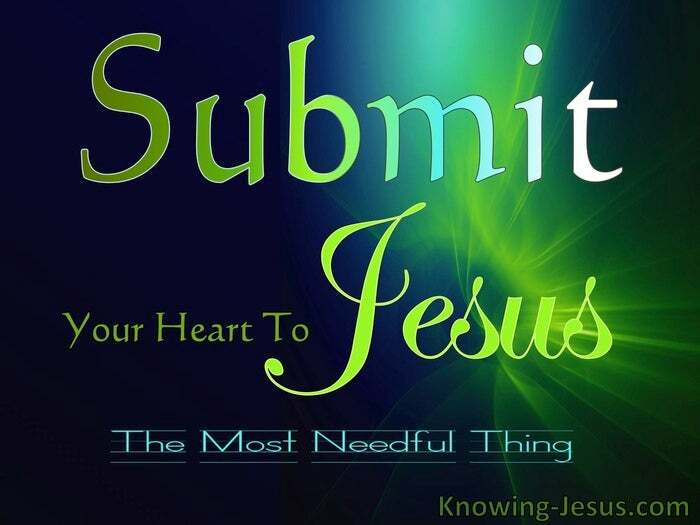 But the most needful thing is what most Christians shun.. our utter, total submission to Christ – our full, entire surrender. 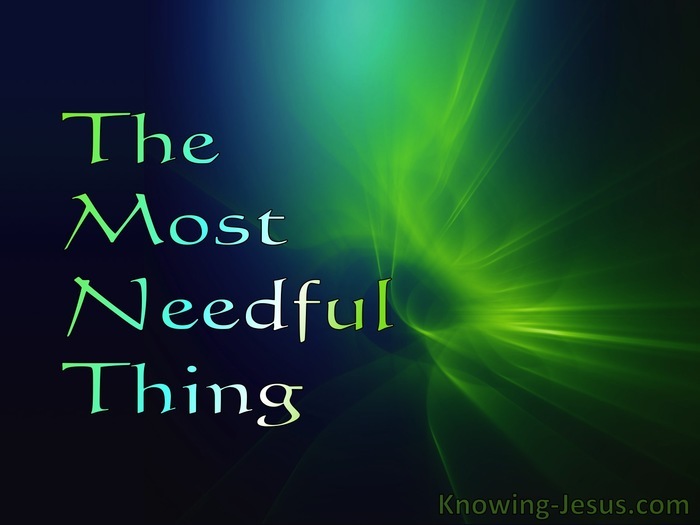 The most needful thing is encompassed and encapsulated in one Person and His name is the Prince Of Peace. In Isaiah 9:6 we read that: His name shall be called the “Prince of Peace. In trials and tribulation, He is our PEACE. In disheartenment and despair, He is our JOY. In thick shadow and deep darkness, He is our LIGHT. In weakness and sickness, He is our LIFE. In utter and total submission and surrender, He is our ALL in ALL, and that is the bottom line – submission; yielding; surrender – death-to-self. If we are truly and rightly related to Him, then we are rightly related to others, but a right relationship with God is impossible unless we have a right view of self.. and this happens to be the most difficult accomplishments for Christians, in the whole Christian walk. Because it is in conflict with the very warp and weft of human logic and rationale – it is the antipathy of human pride. And Paul also said: I rejoice in my sufferings for you. I am glad when I suffer for you in my body, for I am completing what remains of Christ’s sufferings for His body – the church. Col.1:24. It means that you are to be His pierced hands. You are to be His spiked feet and wounded side. It means that you are to be His broken body, His representative bond-slave. He identified with us by becoming sin for us and we are to identify with Him.. by suffering His humiliation in this world. Jesus said: be perfect, even as your Father which is in heaven is perfect. Matt.5:48, and His perfect life was one of deep, willing, passionate, yielding love. His exemplary example was one of total submission to the Father. But until we are rightly related to God, we are submitted to Self and not to Him. Until we accept our place of humiliation, we cling fast to own rights and reason. Until we are totally submitted to Him, we deify courage, bravery, pluck and heroism. We will do anything to escape the humiliation of utter surrender and total brokenness. We will do everything in our power to avoid the disgrace of His crushing humiliation, but He must increase in each and every part of life.. and I must decrease in every aspect – until I am nothing and He is everything. But if you are man enough (or woman enough) to accept this challenge, it will mean your mortification and death to self.